Obasanjo, in a 13-page statement entitled: “The Way Out: A Clarion Call for Coalition for Nigeria Movement,” said President Buhari has performed far below expectation and should forget his 2019 re-election bid for the good of the country. The ex- President said was disappointed with Buhari’s performance since he came to power in 2015. He had written similar letter to ex- President Goodluck Jonathan in December 2013 titled: “Before it is Too Late” and highlighted his (Jonathan) administration’s numerous failings. Obasanjo claimed his decision to go against Jonathan in 2015 was the right one as events in the last three years had shown. He said: “Even the horse rider then, with whom I maintain very cordial, happy and social relationship today has come to realise his mistakes and regretted it publicly and I admire his courage and forthrightness in this regard. Likening the state of the nation to lice-invested clothes, the ex- President said the country’s fingernails is stained with blood as it tries to kill the lice by pressing them in-between two fingernails. 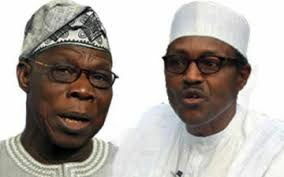 Although Obasanjo commended Buhari for rolling back the Boko Haram insurgency and tackling corruption, he said the President has ultimately failed in other areas where he had thought he would be efficient.